You'll no doubt be shocked to learn Jussie Smollett's neighbors in Streeterville do not believe he was attacked by racist rednecks in the dead of winter who put a noose around his neck and beat him while proclaiming their liberal city is "MAGA country." [...] cops have yet to identify any suspects -- and some people in his tony Chicago neighborhood are growing skeptical. "I don't believe it happened the way he said it did," said Agin Muhammad, who lives in the same swank high-rise near the Navy Pier as Smollett. "I've been in this neighborhood five years. I don't believe it, not around here . . . Half the people are gay and the other half are black." That's MAGA country for you, folks! Just a thought: maybe they can't find video of the attack because it never happened? 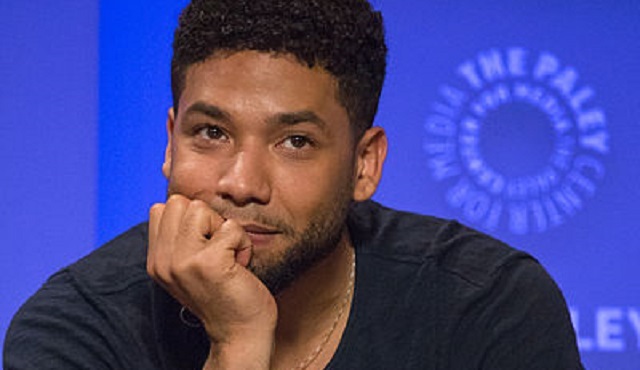 Source with knowledge of #JussieSmollett investigation says that Smollett�s manager, Brandon Moore, has REFUSED to let police examine his phone. Moore is the key witness who said he could hear the attackers over the phone. Police said last week "if the investigation does reveal [Smollett] made a false report he will be held accountable," according to Fox 32 Chicago reporter Rafer Weigel.